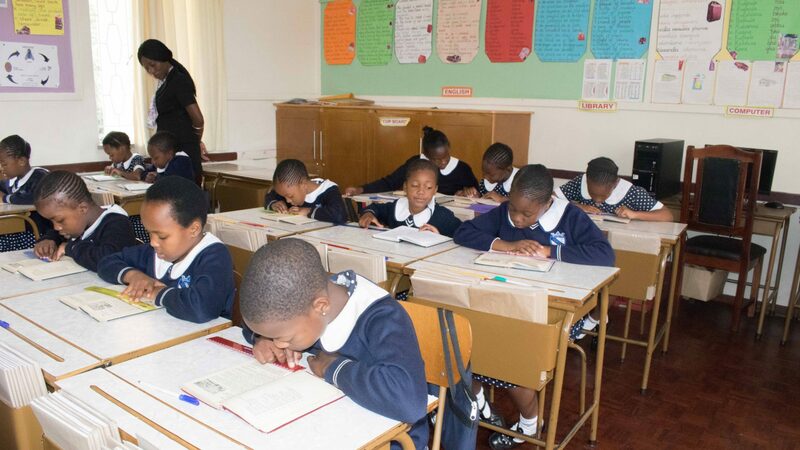 Forms for ECD/Grade One Intake are available from approximately 19 January to 31 March from the school office and assessment is carried out in June of the same year. Forms are completed and to be handed to the school on or by 31st March. Children are interviewed for ECD/Grade One enrolment the year before they attend school. ECD requires children to have turned 4 years of age by the end of July of that same year. Grade One entry requires children to have turned 5 years of age by the end of July of that same year. As a result girls considered for assessment will not be born in the same year. For admission first preference is given to Catholics and siblings of students already enrolled in the school who have a good record. Forms are available at the same time as the ECD/Grade One forms are issued and assessment is carried out during the month of June. Pupils who pass the entrance exam are then placed on a waiting list and then admitted if a vacancy occurs.